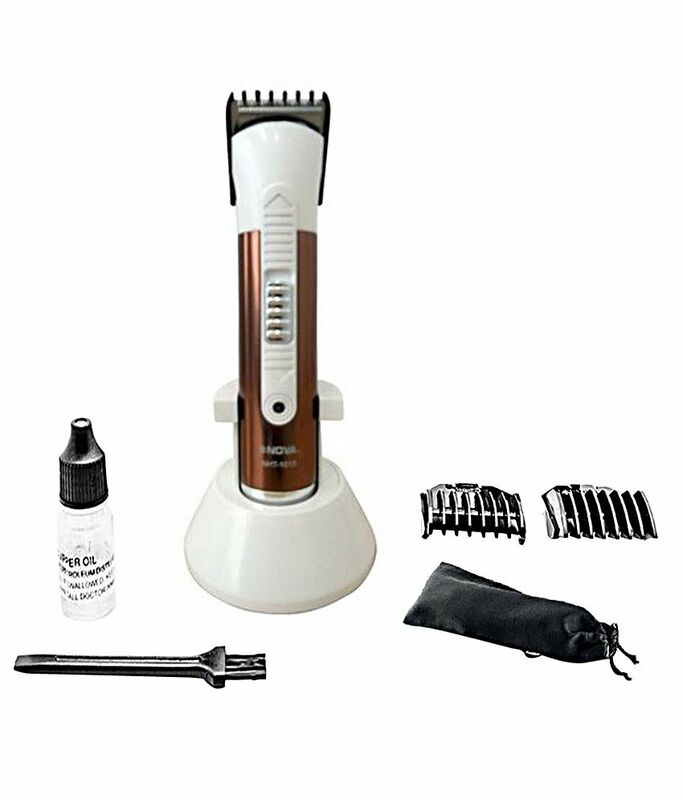 Nova NHT 1013 Trimmer White and Brown Look smart every day even when you're late to office, because this Nova NHT - 1013 Trimmer performs an accurate and quick job of trimming your beard. To Recieve updates and possible rewards for Nova NHT-1013 - White and Brown please sign in. To Recieve updates and possible rewards for Trimmer, Clipper & Shaver please sign in.